Take a look at the best off-road trucks, and you’ll see they mostly use Goodyear and BFGoodrich tires. Are these two so much ahead of the competition? Let’s find out in lines below. We know that suspension, locking differentials, high ground clearance, and skid plate are essential for crawling on rocks or driving through mud and snow. However, if you ask professional off-road drivers, it appears that the tires are most influential here. So, before you decide and buy a new one, check out this list of best all-terrain truck tires. Currently, this is the bestselling all-terrain truck tire in the market. Many car makers use Goodyear Wrangler DuraTrac as the tire of choice, like RAM, Chevrolet, and Nissan. This is a real all-around player, great on pavement and dirt. Wrangler DuraTrac is not best selling tire without reason. Packed with the latest technology it offers fantastic performances during winter. Off-road traction, towing and hauling in dirt and rim protection are main advantages of DuraTrack. Goodyear uses unique TractiveGroove Technology to increase traction on snow, water, rocks, and mud. Tread design is aggressive and meant for the off-road drive, but there is no vibration in the truck even when driving high speed on the highway. The level of noise is low too. Because of low rolling resistance, the fuel economy remains as stated by the truck manufacturer. Overall this is excellent all-terrain truck tire, and the only downside we should stress is the price. Second and third on our list of best all-terrain truck tires are best known of their aggressive tread pattern, long tread life and durability. Open Country M/T, legendary tire from Toyo gives proper handling on dry and wet but shows the all potential during off-road adventures. Toyo uses polyester with over the shoulder trad construction to improve traction in deep snow and mud. Furthermore, polyester construction helps maintain grip and performance in wet. Tread pattern design with open channels allows snow and mud easy ejection. The tire is offered in sizes from 15-inch to 24-inch. Starting price is $215 and can go up to $837. For those who take an off-road drive just occasionally, Toyo prepared true all-terrain and all-season tire, Open Country A/T. This tire is fuel efficient, a comfortable and has extended durability and tread life. With the help of polygonal block pattern, Open Country A/T improves braking on dry that is an issue for many tires produced for snow and mud. There are available three shoulder designs that correspond to tire dimension; mild-scalloped shoulder, scalloped shoulder, and deep-scalloped shoulder (for extreme tire sizes). Starting price for Open Country A/T II is $124. Cost depends on tire size. BFGoodrich is famous for its achievements in racing competitions on tracks and off-road. Do you know what tire uses Ford F-150 Raptor in Baja competition? Yes, BFGoodrich. This tire is packed with racing technology. BFGoodrich All-Terrain T/A KO2 is the best all-terrain truck tire from BFGoodrich. It offers grip, adventure, and pleasure in one package. All-Terrain T/A KO2 is made from sturdy rubber. Shoulders are thicker and extended for 20% compared to the first generation of All-Terrain T/A KO. That gives the tire better protection in areas that can suffer a puncture. Separated shoulder lugs, mud-phobic bars, and locking 3-D sipes provide outstanding maneuverability during severe snow conditions. Tread life is extended thanks to stone ejectors, advanced footprint but mainly because of specially formulated rubber. Experience from the racing track is used to produce best rubber compound that gives a performance and a decent lifespan at the same time. Starting price for the 15-inch tire is $156. This price is way under the main competition. Put all this together, and it is easy to realize why BFGoodrich T/A KO2 is one of the best all-terrain truck tires in the market. Cooper is an American tire company founded in 1914. It is not world famous like Michelin, Pirelli, Goodyear, and BFGoodrich but they definitely know how to make right all-terrain tire. For trucks and SUVs best option is Cooper Adventure A/T. This is M+S rated tire that offers excellent performance on wet and dry but also has decent off-road capabilities. Cooper used 5-rib all-terrain design and paired intermediate tread elements. These two in conjunction reduce stone retention, improve handling and expand treat life. Accelerating, braking and turning on gravel, mud, and pavement are equally efficient. The ride is quiet, and the tire doesn’t increase fuel consumption in any way. Cooper Adventure A/T is made in different sizes for light-duty pickups, crossovers, SUVs and HD trucks. Another popular tire from the same maker is Cooper Discoverer A/T3. According to tire reviews, consumers are satisfied with how this tire handles in dry and wet. It receives slightly lower grades for performing on snow and during cold winter days. Continental for decades stands for reliable and trusted tire maker. This brand gave the world some great racing and road tires. Same goes for all-terrain truck tires. If you want all season, off-road ready tire for snow and mud Continental Terraincontact A/T may fit your truck perfectly. This tire is developed using Continental’s unique technology called TractionPlus. The tire is designed to offer same grip and handling performance on and off the road. Continental is so convinced of tire quality that they offer 60K limited warranty, 60-day trial and 3 years of road assistance. The tire has excellent traction in all terrains during all season. If you choose Continental Terraincontact A/T don’t expect any loss in gas mileage, the drive is quiet, and tread life is more than satisfying. Starting price is $146 for the 15-inch size. Not so cheap, but this is perfect value for the money. Falken Wildpeak is around for many years. It is proven, and dependable truck tire packed with several technologically advanced features. To extend tread life Falken uses silica. Good handling performance is achieved with aggressive upper sidewall design and 3D canyon sipe technology. The off-road drive is not an issue for Wildpeak A/T3W. This tire has the deepest tread in the category. Rugged and rigid tread block prevent stones and snow from staying in the groves. This means that roads under heavy snow or tarmac are just a light obstacle. The tire has a snowflake symbol, and it is qualified by the Rubber Manufacturers Association for the Three Peak Mountain Snow Flake. Same is for wet traction. Starting, stopping, cornering and steering response are flawless indeed. Some tire reviews were negative about highway speeds. Falken Wildpeak A/T3W is made from 15-inch to 20-inch wheel diameter. The manufacturer gives limited tread life 55K miles warranty. This is the new aggressive tire for all terrains. Grabber A/T X General Tire is balanced and mixed to offer outstanding off-road capabilities and excellent on-road performance. Manufacturer emphasizes stability, comfort, and off-road features. This balanced mixture is achieved using an absorption layer under the thread and traction notches to improve traction in mud, rocks, and dirt. Grabber A/T X is suitable for extreme off-roading. With large protective lungs and shoulder scoops, there is no worry about the grip on rocks. General Tire offers 45 days trial period and 60,000 miles limited treadwear warranty. The tire is offered in many sizes used by work trucks, commercial vans, and full-sized SUVs. If you want great all around on/off road tire Grabber A/T X is worth trying. This tire is a unique mixture of Goodyear Wrangler SR-A and Wrangler Silent Armor. All-Terrain Adventure cab be used through all season; it is M+S rated. According to the manufacturer, this is 80% on-road and 20% off-road tire. This means if you are into some severe off-roading then you should look for some other solution. Goodyear praises itself with DuPont Kevlar technology. What does it mean for an average truck driver? That means that tire is sturdy enough for off-roading but at the same time provides a smooth and comfortable drive on the highway. Tread pattern is designed to overcome snow conditions successfully. Tested on light trucks, SUVs and high-duty trucks during wet and dry conditions Goodyear Wrangler All-Terrain Adventure tire gave great driving performances. The drive is quiet, handling is precise, and the fuel economy is on the average level. According to customer reviews, this is the right all-terrain tire for those who take off-road a couple of times a year. Starting price is $220. Tables below demonstrate popular all-terrain tires prices for two most used trucks in the US. As a reference for a full-size pickup, we picked Dodge RAM 1500. For a medium-sized truck, category reference is Toyota Tacoma. Prices are estimates from online tire stores; we don’t guarantee prices in tables or availability. Cheap all-terrain tires are not the solution. The wrong choice of tires can lead to poor driving performance but using the cheap and low-quality tires can jeopardize the safety and put in risk you and passengers in the truck. Play smart, choose a reliable all-terrain tire that offers decent driving performance and handling, both on mud and pavement. As you can see, there is a broad spectrum of options. Don’t let the price of a tire be determining factor. Quality and safety are what you are looking for. 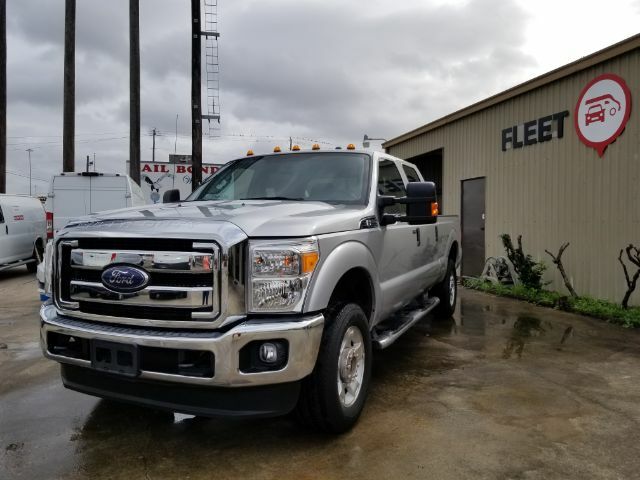 If you are searching for an excellent all-terrain tire in Houston, Texas visit Fleetworks of Houston Inc at 4815 Katy Freeway. At this address, you can do tire replacement, oil change and brake repair for your truck. If you are looking to buy “like a new” pickup truck or cargo van call us at (713)909-7261 and arrange a meeting with our staff. We stock all major truck brands like Toyota, Ford, RAM, Nissan, GMC, and Chevrolet.